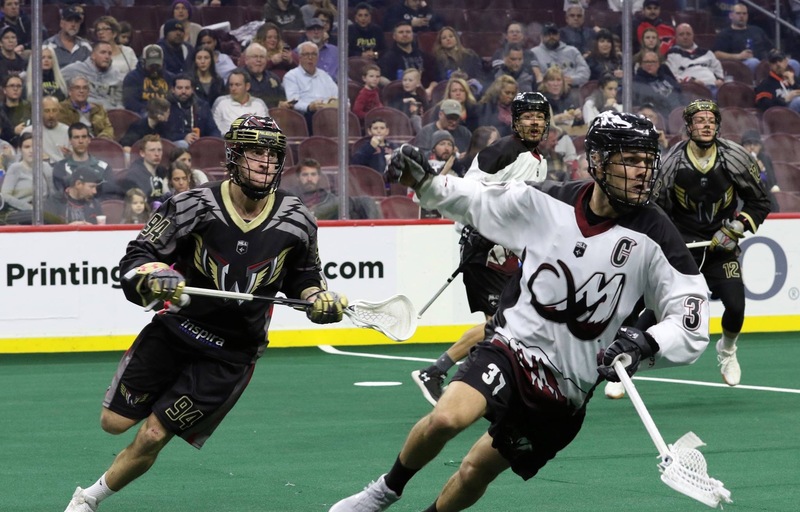 Saturday night the Philadelphia Wings (1-7) fell 12-10 to the Colorado Mammoth (2-5) in front of 10,505 fans at Wells Fargo Center in Philadelphia. The Wings are now 1-4 at home. The Wings, whose early season slow starts led to defeats, are now having trouble finishing games. In their last two home defeats they were outscored 12-4 in the final 15 minutes of the game. Last week in their overtime victory over Rochester, they were outscored 9-6 in the second half (5-2 in 3rd). Philadelphia dashed out to a quick three-goal lead before Ryan Benesch got the Mammoth on the board near the end of the first. In the second, Eli McLaughlin would find rope before Blaze Riorden would get it back just 27 seconds later. Colorado scored the final three of the half and take a slim 5-4 lead. Josh Currier would net the first two for the Wings to start the third quarter but Colorado responded with two of their own to regain a 7-6 lead. Philadelphia would go on a modest three-goal run with scores from Kiel Matisz, Blaze Riorden and new defenseman Ryan Wagner, who collected his first of the season and first as a Philadelphia Wing, for a 9-7 lead. Wagner was acquired from Buffalo for forward Chris Cloutier in a surprise deal last week. The Wings also received a 2021 first-round pick from Buffalo. The final quarter is fifteen minutes the Wings would like back. Colorado netted three straight to turn a 9-7 deficit to a 10-9 lead, one of those goals coming on the power play. Steph Charbonneau scored his second of the night to tie the game, but that would be the final cheer from the crowd. McLaughlin scored the game winner, his fourth of the night, and rookie Kyle Killen put an insurance marker in to make the final 12-10. The Wings are in the basement with the worst power play in the league, and rank fourth overall in penalty kill. On this night the Mammoth would go 4-7 on the man up, and the Wings would go 0-3. It’s clear that special teams are areas that need a lot of work. Ryan Benesch (2G/7A) and Eli McLaughlin (4G/1A) led the Mammoth. Dillon Ward stopped 43 of 53 shots for the win. Blaze Riorden and Josh Currier (3G/1A) led the Wings’ offense. Doug Buchan stopped 28 of 40 shots faced. 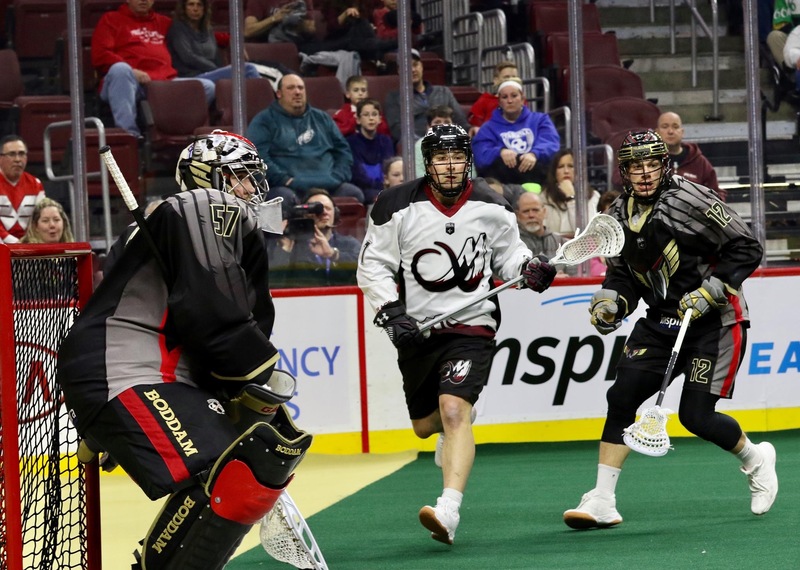 This coming weekend is a huge home-and-home as the Wings will face the New England Black Wolves on Saturday at Wells Fargo Centre and Sunday in New England at Mohegan Sun.